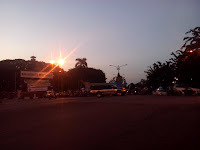 The place starts around 03.00 until 07.00 pm and its recommended if you visit aroud 05.00 pm to see the crowd ad perhaps to buy some Banjarese cakes. Bingka is the most popuar one. 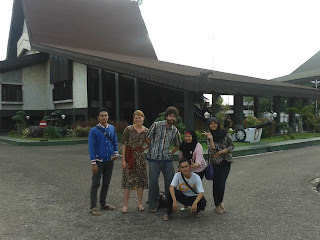 This month, i host a couple from Holland named Florian and Petra. 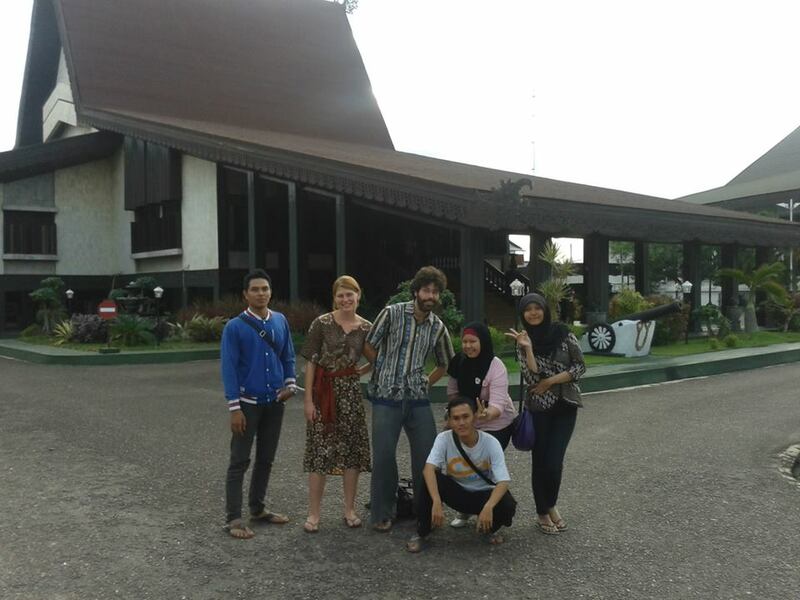 Banjarmasin is the last city they visit after several month exploring Indonesa. 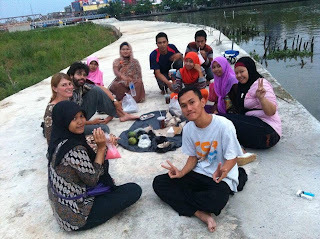 Their last day in Banjarmasin, i asked them to see Ramadan fair cake and breakfasting together in my favourite place in Banjarmasin city; Siring Sungai Martapura or Martapura River Waterfront. With my college-mates, we went together from my mother place which located near the fair. We took several pics and i had interesting discuss when we walked around.